You have made it possible for these patients to have their Second Chance at Freedom! Osprey returned to the wild! This Osprey was rescued by the RMRP in June after he was found with his leg tangled in baling twine, dangling from his nest platform. His leg had been badly constricted, but a lot of skilled wound care had him ready to return home. Baling twine is a serious hazard to Osprey, who frequently collect the brightly colored string to use in their nests. Many Osprey die each year from entanglement. You can help save Osprey like these. There is a baling twine recycling center in Fort Collins. Encourage everyone to recycle their twine! Northern Pygmy Owl 19-096: Released! Pygmy Owl returned to the mountains this species loves. Tiny predator, big attitude! 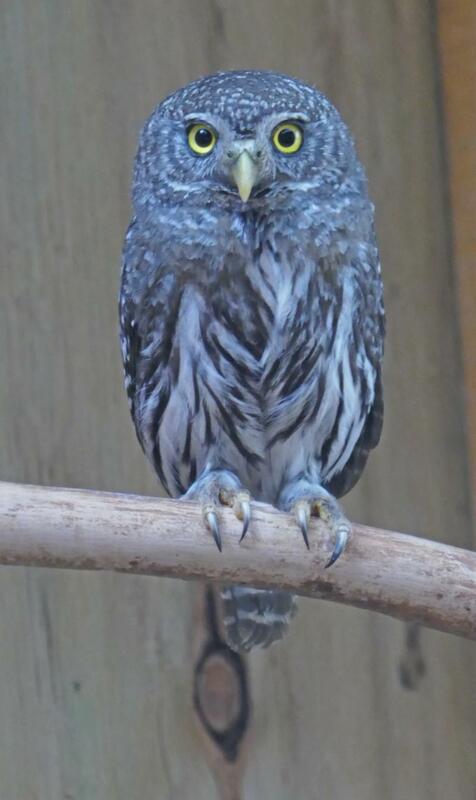 This Pygmy Owl came in several weeks ago after an incident gave him some nasty head trauma. After a couple weeks to heal, he was been returned to the wild! 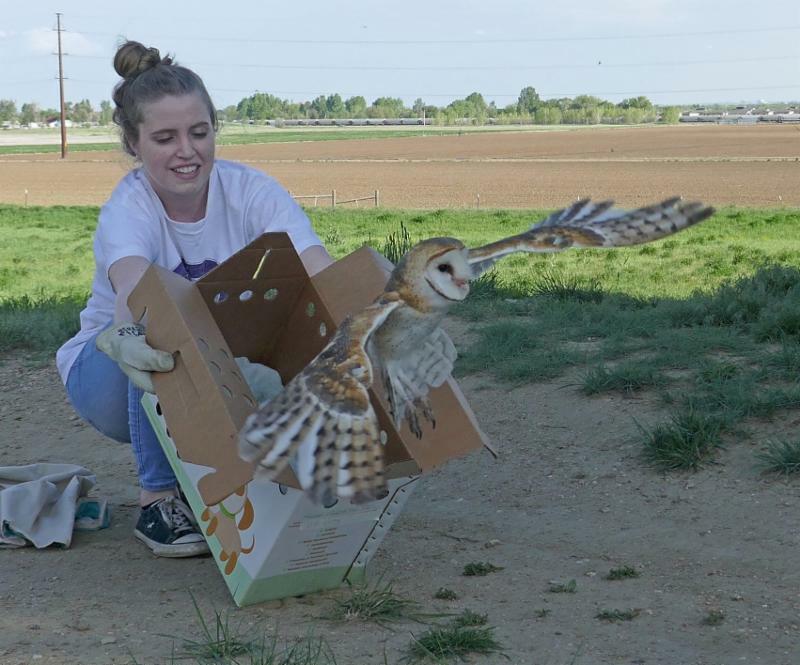 Common Barn Owl 18-054: Released! Barn Owl healed, whole, and FREE! This Barn Owl was admitted a couple of months ago. He was covered in parasites and extremely thin. It took medication and lots of time to remove all the parasites, plus he needed lots of nutritious food to gain back all the weight he had lost. He returned home, hopefully to continue the rest of his days parasite free. Raptors like these need your help to return to the wild. 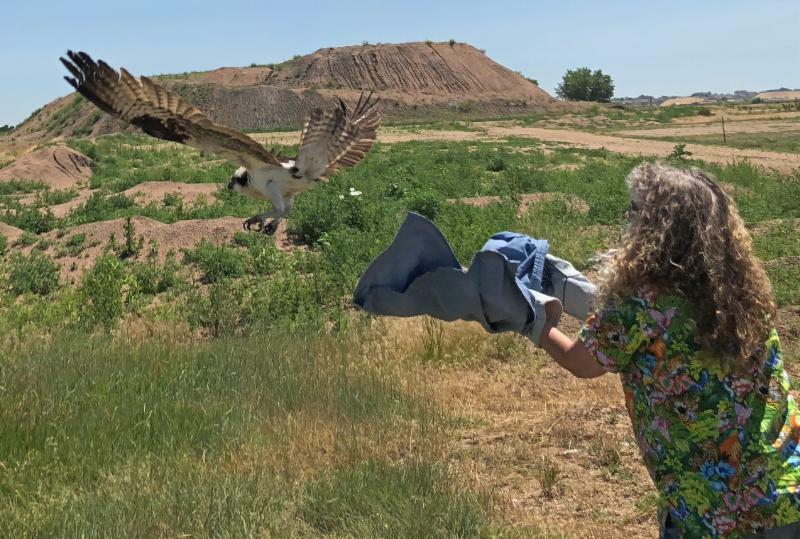 So far this year, over 130 injured raptors have been rescued by the RMRP. $3 will feed tiny owl like the Pygmy for a day. 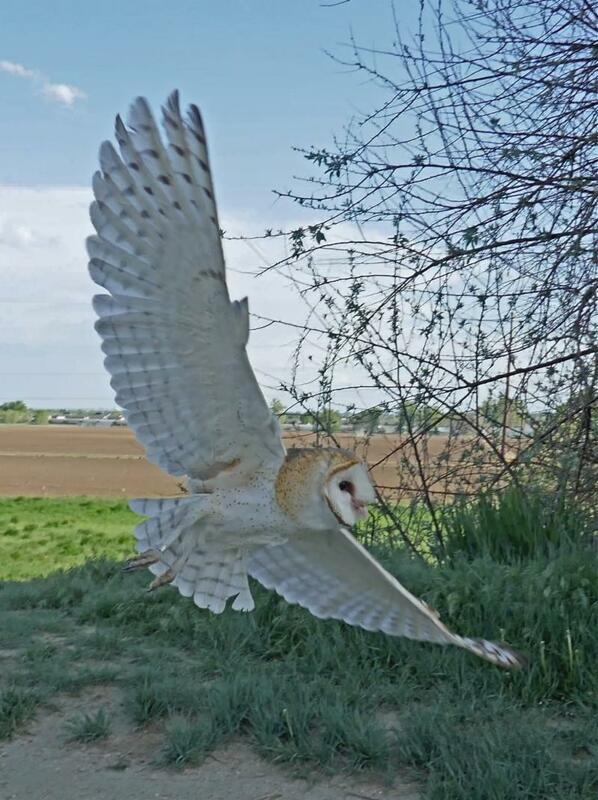 $50 will buy a new bottle of parasite medication for raptors like the Barn Owl. $100 will provide a week of bandaging material for a raptor with a bad wound, like the Osprey. Most of all, share your love for raptors and the environment with others. Share this email, enjoy a hike, and love nature. Your support makes the difference the world needs. Donate Now. Birds of Prey Class 2018 Public Comment Period open on changes to the Endangered Species Act. Act Now.